Home Facebook latest snapchat social media Twitter Facebook Live Has Its First Emmy Nomination, a Sign of Things to Come? Facebook Live Has Its First Emmy Nomination, a Sign of Things to Come? For the past few years, Netflix and other streaming services have been dominating the Emmys, and we're long beyond the point of needing proof that streaming services have locked down the television industry. Social media streaming, however, is still developing, and its future is uncertain. Now, a Facebook Live program has gained an Emmy nod for the first time, and it could be a telling sign of things to come. In any other format, the show which received the nomination is exactly the kind of program you'd expect to get Emmy attention - a star-studded live broadcast to raise money for the American Civil Liberties Union, hosted by Tom Hanks. The more interesting thing is that it wasn't even the only social media platform to be nominated in that category - they got another nod for Oscars All Access and Snapchat were also nominated for their The Voice companion show. The category, named 'Outstanding Creative Achievement in Interactive Media Within an Unscripted Program' is new for this year. That comes as no surprise, categories like Interactive Media are revamped almost on a yearly basis, but the very fact that Facebook and Snapchat programs have received nominations alongside things like E! Entertainment's in-house 'Live 360' service gives you a pretty clear idea of the direction things are moving in. Meanwhile, in the 'scripted' version of the same category, several VR-based experiences were nominated, including one which was released to promote Stranger Things. The Emmys have always recognised advances in media production and consumption, and it seems now that they've introduced an entire sub-category for social media live streams. The question is, does this signify that live-streaming will continue to be successful? Facebook, Snapchat and Twitter certainly seem to think so. They're battling fiercely for the rights to different national and international sports, as well as stacking up an ever growing list of original content. Aside from AI and VR, it's one of the most front-facing enterprises of every major platform. Despite this, it's taking time for audiences to adjust to it. At the moment, brands are committing much more to the cause than audiences, and a lot of the returns are theoretical. 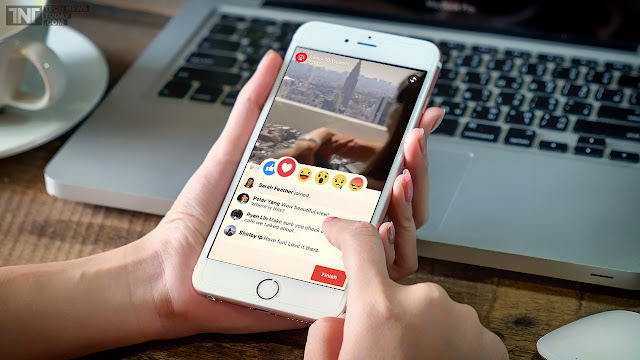 There have certainly been success stories - the search term 'Facebook Live Stream' has seen more than 330% more searches since Live launched, and they're on track to rise beyond 50 billion views per day before the year is through, but at the moment the most impressive figures are either speculative, or just huge sums of money paid by Facebook and others to get networks and influencers on board. Even with the Emmys on side, it's a gamble. Facebook Live's most watched video is still the 'Chewbacca Mask' video from last year, which doesn't do much for Facebook's revenue, considering it was user generated and could have very easily ended up on YouTube instead. On the darker side of that spectrum, Facebook and Snapchat have both struggled to deal with broadcasts containing violent, disturbing, criminal or even murderous behaviour. Platforms, media companies and academies can throw as much weight behind it as they want, but that doesn't change the fact that it's still theoretical. Things look on track for continued success now, but any kind of fluctuation in the way social media functions (like, say, the fake news scandal) could set it back majorly, or cause the people bringing the money to rethink their approach. Award nominations or not, live streaming still has a long way to go.